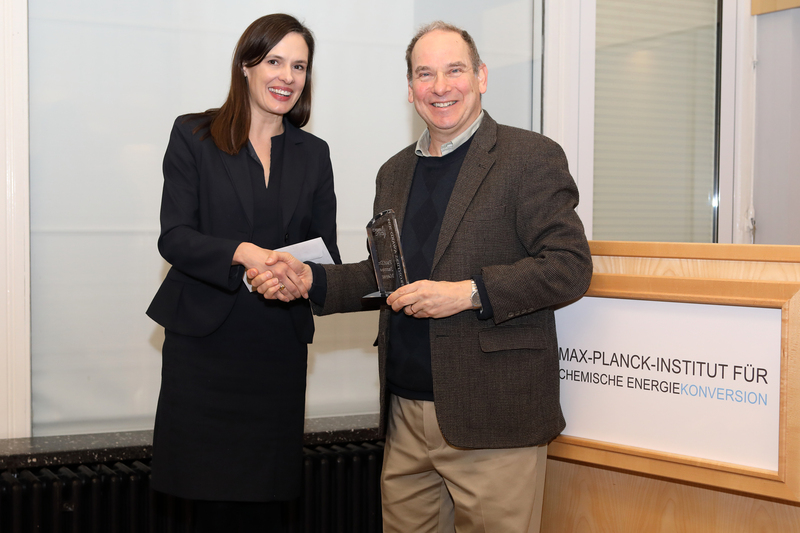 Serena DeBeer, Director of the Inorganic Spectroscopy Department at the Max Planck Institute for Chemical Energy Conversion, presented the 2019 Frontiers Award to CME researcher, Jim Mayer. Dr. James “Jim” Mayer, Charlotte Fitch Roberts Professor of Chemistry at Yale University, was recently honored with the Frontiers Award by the Max Planck Institute for Chemical Energy Conversion. The award is given annually to remarkable scientists in this field. 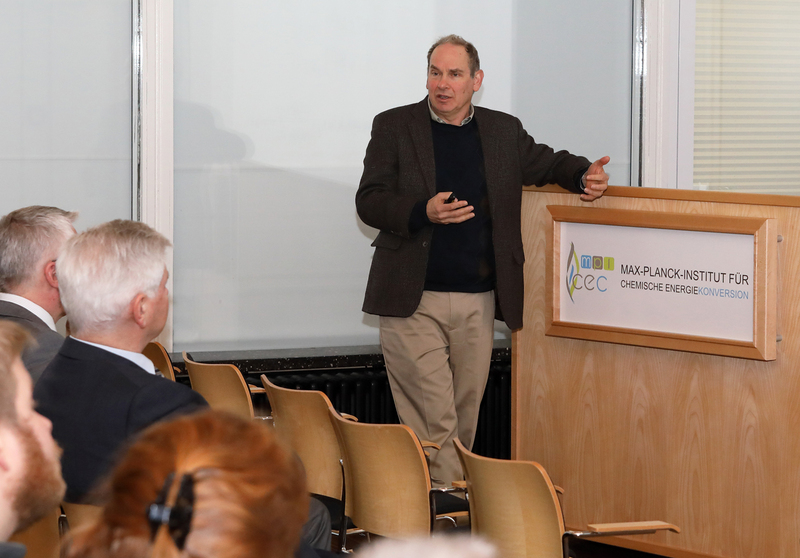 Jim Mayer gave four lectures while visiting the Max Planck Institute in January. Mayer is CME’s thrust lead for heterogeneous interfaces, focused on achieving molecular control of heterogeneous interfaces in electrocatalysis, and has worked on the design of molecular catalysts for oxygen reduction. “We are delighted that Jim has received this honor. His vision and creative research accomplishments in the CME have led to a profound new understanding of the relationship between rates and overpotentials for molecular oxygen reduction electrocatalysis,” said Morris Bullock, CME Director. To read more about the Frontiers Award, click here.